Dan Hill, CEO of Hill Impact, sounds off on the state of crisis and details his work for MMA fighter and boxer Heather Hardy. Dan Hill, crisis wrangler and PR pugilist, joins The PR Week to shed light on the third firm he's founded, Hill Impact. He also discusses how he came to represent fighter Heather Hardy, who holds the WBC Super Bantam and Featherweight titles. Bonus: he calls for an end to unpaid internships in PR. 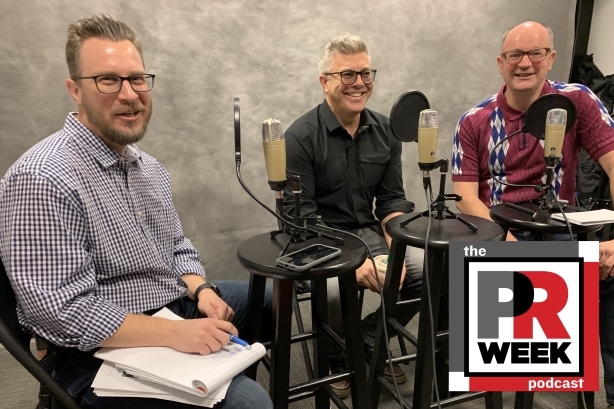 Plus: Hill chats with PRWeek's Frank Washkuch and Steve Barrett about the biggest stories of the week, including Oscar Suris' new job at Zeno Group, the Department of Health and Human Services suspending its contract with Porter Novelli and PRWeek's inaugural brand tagline bracket.